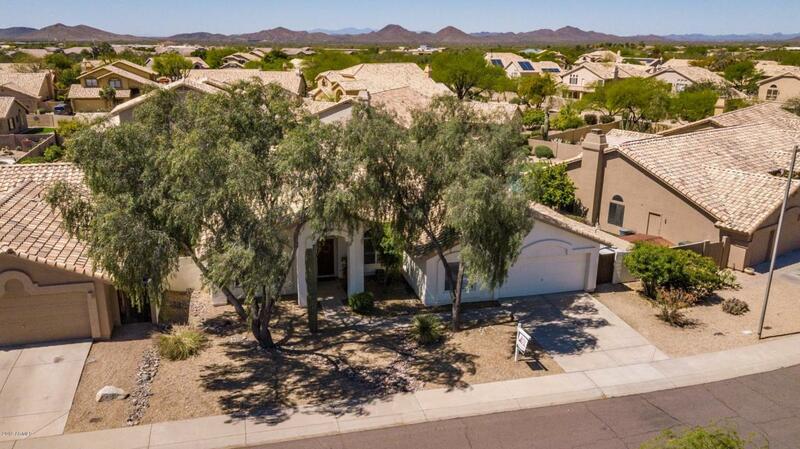 Beautifully updated Cave Creek home has so much to offer! 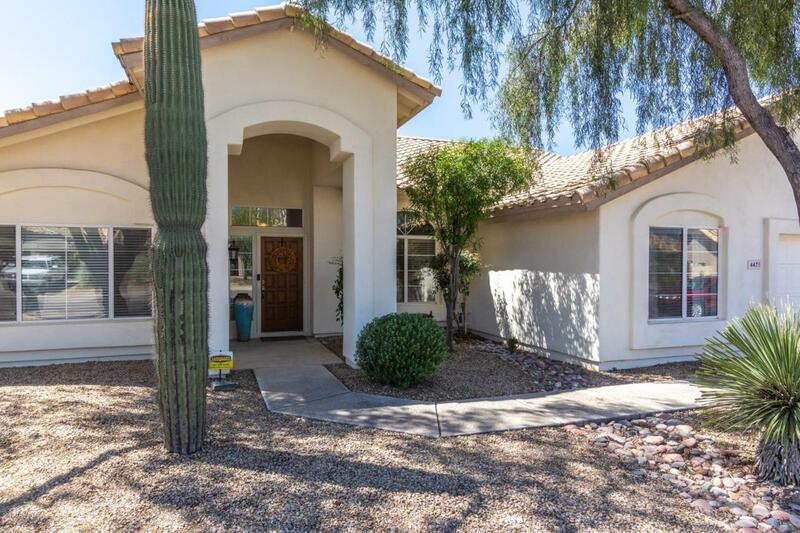 With vaulted ceilings, updated light fixtures lots of natural light, 20 inch tiled floors done in 2015 all on a large lot. Enter your new home into the formal living and dining rooms. The eat-in Kitchen has Breakfast Bar, SS appliances, granite counters and painted cabinets. Family room has a cozy fireplace with wood enhancements. The spacious master has double door entry, sitting area. The ensuite has double vanity, garden soaking tub, separate shower and tons of space. The backyard has extended covered patio, beautiful sparkling pool/spa built in 2016, artificial turf for low maintenance and built-in sandbox. 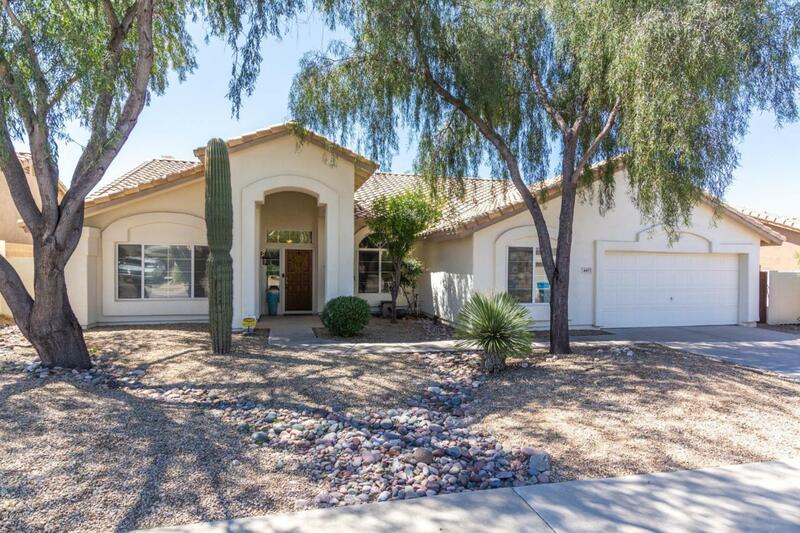 This home is Close to Golf, shopping, dining and entertainment.